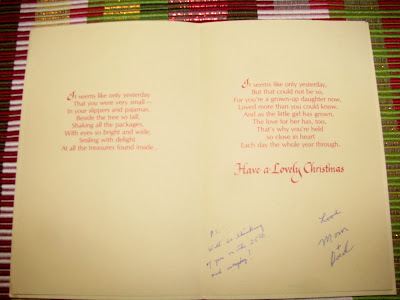 Christmas card from Mom & Dad, 1989. What an absolute joy it was to find this card this morning! I had been thinking about it all week. This is the second Christmas without Mom, and even though I love this time of year, it's a little sad too. 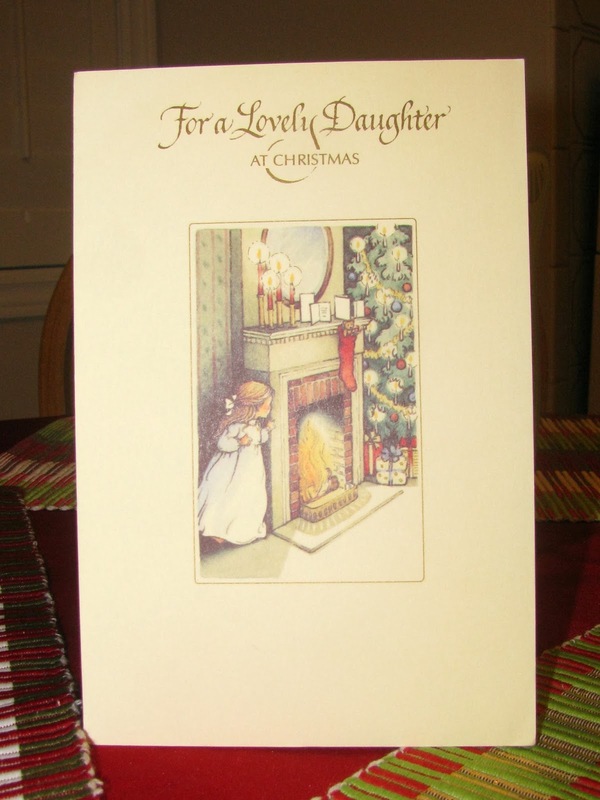 This Christmas card is special to me. It's the one she bought for me my first year away from home for Christmas. It was 1989 and I was spending Christmas with my brother in Toronto, in our new apartment. I had left Nova Scotia in March of that year to live in Toronto, Ontario. I remember Mom had a difficult time getting into the holiday spirit that year without any of her children home. 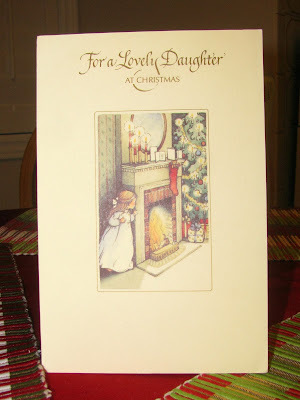 And I remember her telling me that this card really spoke to her, as it reminded her of Christmas pasts. I'm not a pack rat, and I don't keep a lot of things, but I am so happy that I kept this, and I will treasure it every Christmas.